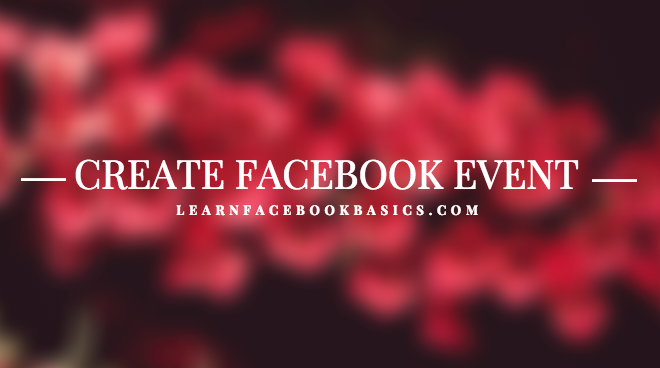 How to Create An Event on Facebook | Create New Facebook Event: Have you scrolled through your Facebook and seen "EVENTS" and you wondered what it means? We'll tell you. Event on Facebook is a resource that is based on your calendar that notifies you of upcoming events. Now that you have known what an event on Facebook is, let us take you through the steps to Create an Event on Facebook. Scroll down and click on "Events"
On the top of the page, tap on the drop-down button to choose between a "Private" or "Public" event. Add friends to co-host the event by tapping on "Co-hosts"
Tap on "Create" at the bottom of the page to create the event. If you are an admin in any page, you can allow the page to stay as the "Host", (the page will automatically appear as host), if you decide otherwise, just tap on "Host" to change it to your preference. Tap on "Co-hosts" to add friends as co-host to the event. Tick and untick the two boxes that says "Only admins can post to the event wall" and "Posts must be approved by admin" to suit your preference. Hit on "Publish" after you are done. Click on "Events" in the left menu of your News Feed. Click on "Create Event" in the top right. Click to choose between a private or public event. If you're creating a public event, you can set the event's host as yourself or a page you manage. You're not able to change the privacy settings once you've created the event. After you are done, you will be taken to your event where you can invite guests, upload photos, share posts and edit event details.